Perhaps it is because the war only lasted ten weeks and occurred during a time period where the US-Soviet Cold War was the backdrop for most international relations, but the Falklands War is often neglected as a significant military engagement in history. However, for the men that fought it and for the nations involved, they might have a word or two to say about that. Lieutenant Colonel Herbert Jones, also known as H. Jones, stepped into the halls of military history during this war when he was awarded the Victoria Cross. One of only two men to receive such an honor during this conflict, it is worth noting that an officer of a high rank whom would typically find himself further back from the forward positions found himself leading the charge on an Argentine trench. This action would cost the 42-year-old warrior his life, but his legacy would live on and bring attention to war often neglected in history. Born in Putney at the dawn of World War 2, world events would see to it that it would be a long wait for Herbert Jones to see combat. He graduated from the Royal Military Academy in 1960 and was commissioned a 2nd Lieutenant into the Devonshire and Dorset Regiment. Subsequent promotions would see him rise to the rank of Major in 1972 and serving with the 3rd Infantry Brigade in Northern Ireland. Here, he would serve in the ongoing conflict with the Provisional Irish Republican Army and their efforts to secure Northern Ireland from the British. In 1977, he received recognition for his efforts here and was appointed a Member of the Order of the British Empire. In 1979, he reached the rank of Lieutenant Colonel and was sent to a parachute regiment for the British Army. It was here in command of the 2nd Battalion of the Parachute Regiment that he would distinguish himself. In 1982, the Military dictatorship ruling Argentina at the time faced a stagnant economy and increasing civil unrest. In order to bolster their dwindling popularity, the dictatorship would embark on a doomed strategy in hopes of playing upon Argentine nationalism and pride. Off the coast of Argentina and scattering out into the South Atlantic, the Falkland Islands along with the South Georgia and the South Sandwich Islands rested under British control since the colonial days of the British Empire. Argentina has long laid claim to these islands citing history that pre-dates British control. 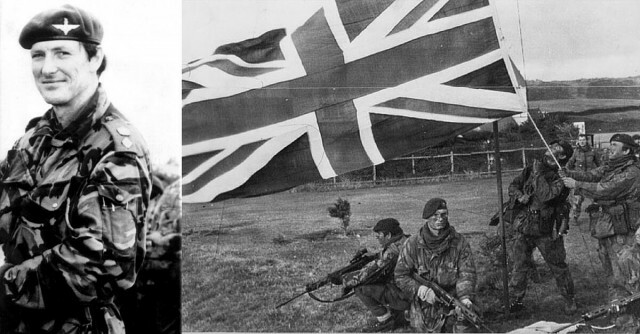 While these islands had long been a source of friction between Argentina and Britain, the military dictatorship decided to take it up a notch when the military invaded the Falkland Islands on April, 2nd 1982 and the subsequent islands the following day. The British were initially caught off guard with this invasion and were not prepared to offer an immediate defense of the action. Argentina took control of the islands and awaited a British response. The United Nations condemned the invasion with China and the Soviet Union abstaining and the United States offered material and logistical support to the British while not becoming directly involved. While the British military was considered vastly superior, retaking the islands was considered no easy feat. For Britain to assemble a task force large enough and bring it to the South Atlantic with enough air cover was a considerable challenge. 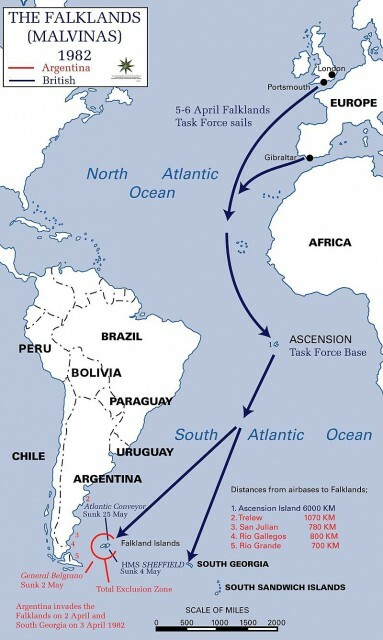 The Argentine military had the advantage of fighting a defensive war on the islands while offering substantial air cover that threatened the British Fleet. By late April, the British were approaching the islands and the conflict began in earnest. Among those charged with retaking the islands was the 2nd Battalion of the Parachute Regiment commanded by one H. Jones.